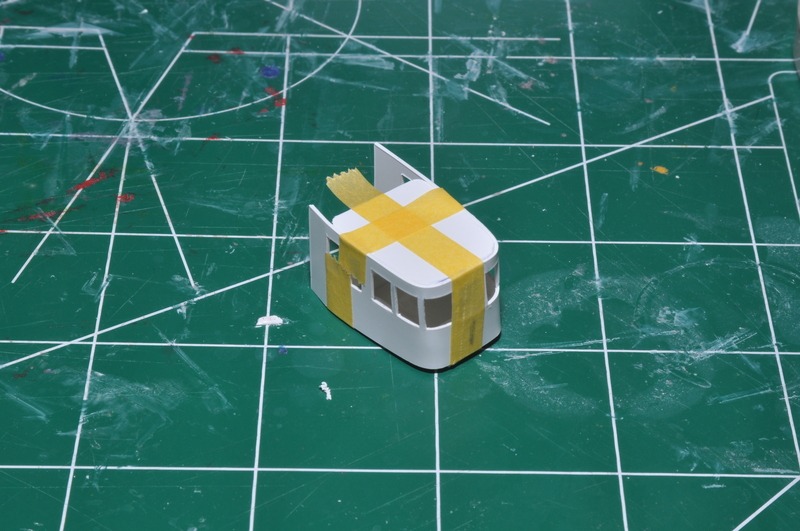 The main deckhouse consists of ten pieces. The sides cover the bottom and the inner roof. The front and back also cover the bottom, and fit inside of the sides. The two interior supports all the inner roof to sit flush with the sides. There is a slight curve to the sides. 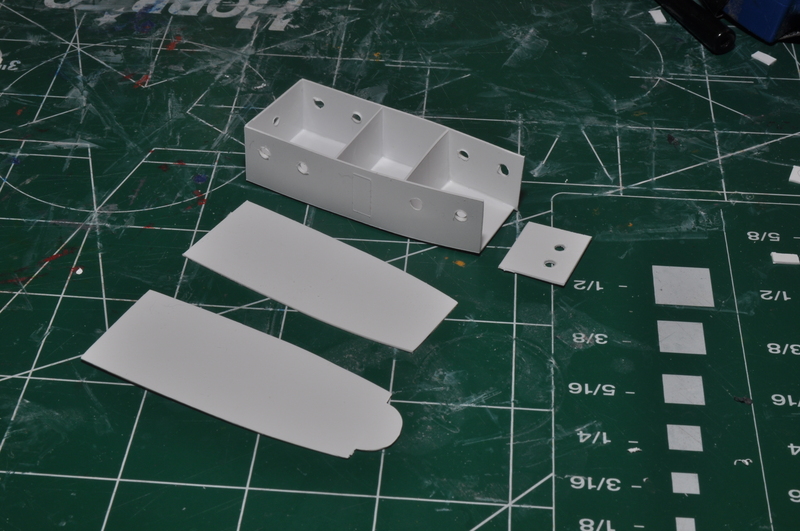 For the pilot house, cut small lengths of the supplied strips, glue them to the pilot house floor, then glue the deck level on top. The pilot house sides wrap completely around the pilot house. 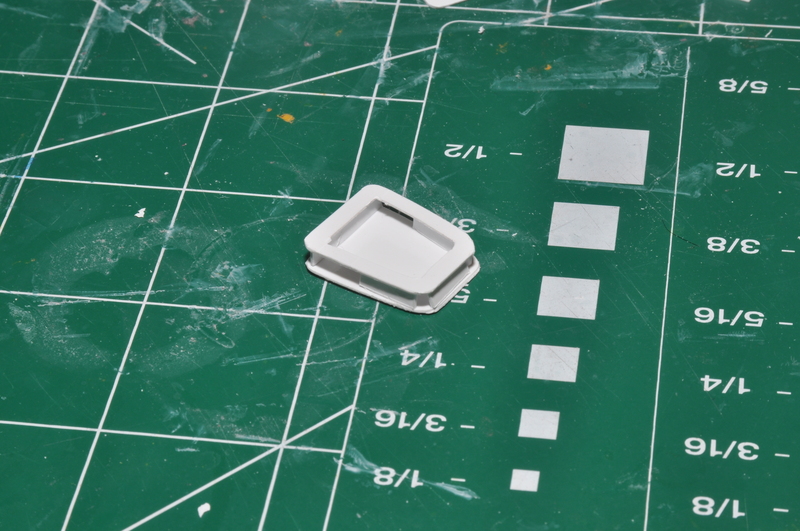 Start by centering the correct window at the center of the floor/desk pieces. Note that the sides do not wrap around equally, so the seam will be off center. 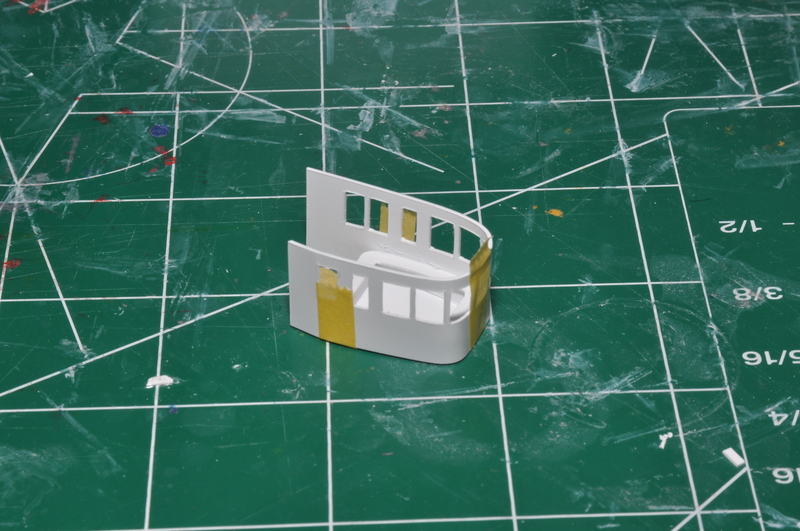 Use making tape to keep things aligned and curved. Glue the top in place. Tape really helps hold it in place. Coax the sirs around the corners at the rear. More tape! You may have to sand the edge to get a precise fit. 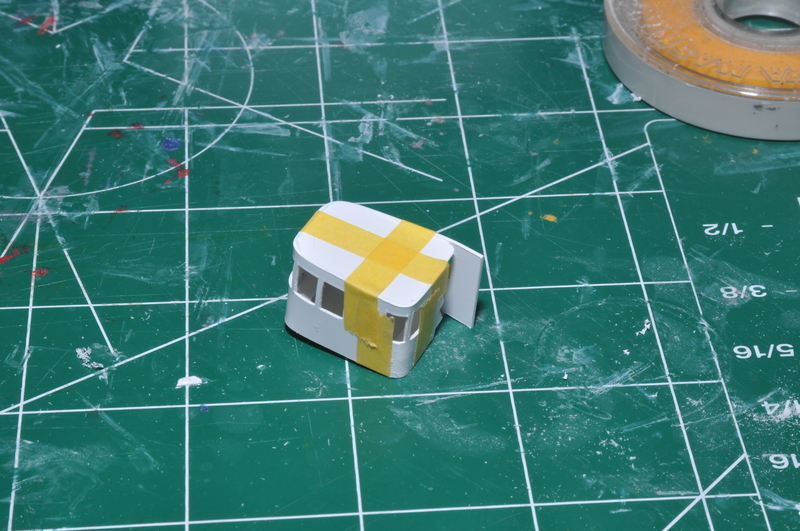 Add the sun visor at a slight downward angle. Use the pictures for the placement of the rest of the details.